Since so many martial arts lovers supported our earlier March salute to director Lee Tso Nam, the New Beverly is striking again on Tuesday, April 23rd, with not just two more, but three more, of Lee’s exciting, fight-filled action films. Staging extended hand-to-hand combat takes as much grace and dexterity as a Busby Berkeley musical sequence, and the movies we’ve chosen certainly demonstrate a special poetry in pummeling opponents! The big show opens with some big blows in Fist of Fury II from 1977, starring Bruce Li, whose earlier collaboration with Lee, Exit the Dragon, Enter the Tiger, screened last month as well. Again, Li is presented as heir apparent to Bruce Lee, this time playing Chen Shan, the brother of Lee’s character Chen Zhen from the original Fist of Fury, and much like the scenario from Tiger, on a mission to avenge his wrongful death. 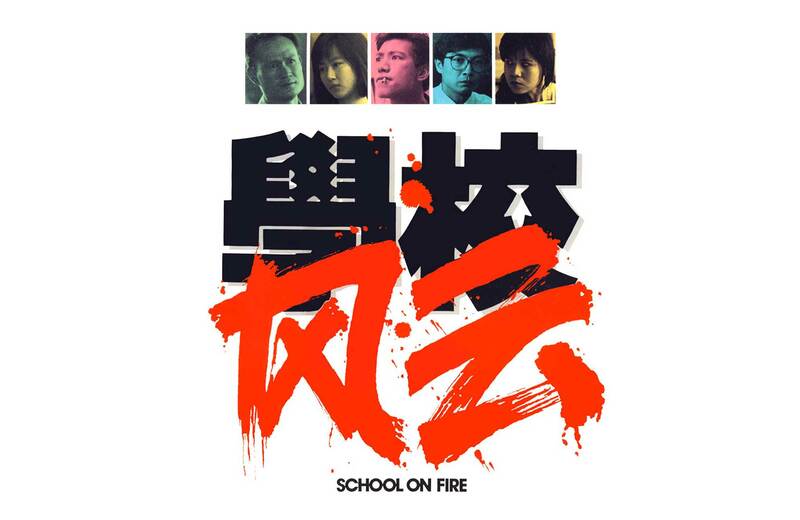 Shan arrives in Shanghai to discover that Zhen’s beloved Ching Wu school has been occupied by cruel Japanese fighters, led by Hong Ku school leader Miyamoto (Lo Lieh). Shan wastes no time in decimating every challenger that stands between him and reestablishing Chinese pride, until he and Miyamoto come to a one-on-one date with destiny. Lee Tso Nam had a brief intersection with Bruce Lee when the pioneering actor was filming Way of the Dragon in Hong Kong and the director was working on another project for Golden Harvest at the same studio facility. “[He] was my idol… his films were mandatory study material for us,” he told author Michael Worth for his upcoming book The Bruceploitation Bible. Accordingly, he would frequently find himself making films intended to take advantage of the star’s unprecedented popularity. His earlier 1974 film Chinese Kung Fu Against Godfather had been retitled Fist of Fury in China in some markets despite having no story ties to the original. For this sequel, made without participation from Fury’s original producers the Shaw Brothers, Lee was able to recruit previous cast members Tien Feng and Li Kwan to effectively reprise their roles. Nora Miao Ker-hsiu and Han Ying-chieh, who had also been approached to return, instead chose to participate in original Fury director Lo Wei’s own “official” sequel, New Fist of Fury, starring Jackie Chan in one of his earliest leading roles. To compensate for Miao’s absence, a veiled stand-in meant to suggest her character appears in the opening funeral scene, and commits suicide, conveniently omitting her from the remainder of the story. 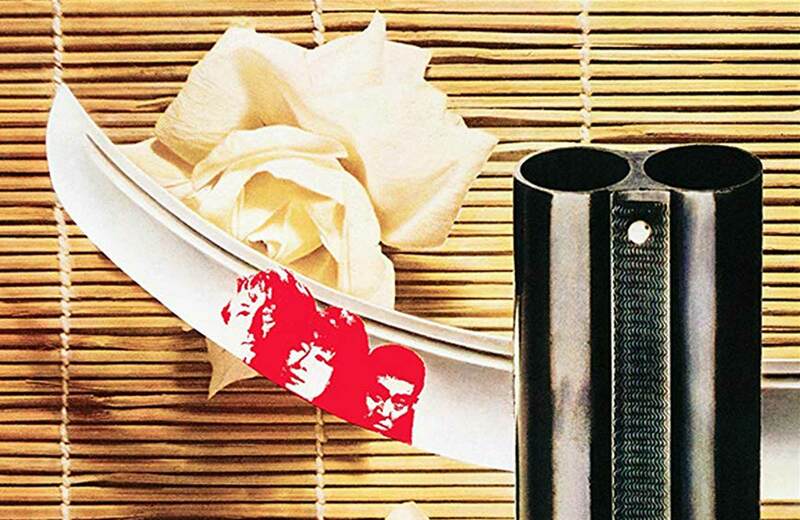 After this, Lee’s 1978 film Challenge of Death, starring another Bruceploitation star, Bruce Le, along with Bolo Yeung and Steve James, was retitled Enter the Game of Death in certain markets to lure in fans of the posthumously-assembled Bruce Lee project Game of Death, released that same year. Co-star Lo Lieh had a long career that was also frequently tied to the fortunes of Bruce Lee. When Warner Bros. released Lo’s star vehicle King Boxer in U.S. theaters under the title Five Fingers of Death in March 1973, its surprise success spurred the release of 30 more previously unreleased-in-America martial arts films, and helped increase audience interest in Enter the Dragon, which WB released in August that same year. Lo not only appeared in the unofficial Fist of Fury, Part II, he also appeared in another unofficial sequel to a Bruce project, 1976’s The Big Boss, Part II, and Gwan Jing-leung’s 1978 Showdown at the Equator, which has played New Beverly under its infamous reissue title Lee Lives Within. He would also work with Lee Tso Nam again on Fatal Needles vs. Fatal Fists. Lo had also portrayed the iconic Shaolin monk Pai Mei in three films, including Fists of the White Lotus in 1980, which he also directed. Lo had been courted to reprise the character for Kill Bill, but was too ill to commit; Gordon Liu, who had been Lo’s main opponent in Lotus, took over the role instead. Lo died at 63 of a heart attack in November 2002. Next comes one of the most pivotal films in Lee’s canon, The Hot, the Cool, and the Vicious from 1976. The village of Black Stone has been dominated by corrupt mayor Yuen (George Wang Jue), whose son has murdered the mother-in-law of their sheriff, Captain Lu (Dorian Tan Tao-liang). The mayor has enlisted notorious fighter Pai Yu-ching (Don Wang Dao) to keep the police at bay from his son and his counterfeiting. He also has the even more ruthless and frightening “Gold Hair” Lung (Tommy Lee Gam-ming) in reserve. As secrets become revealed about all these men, alliances will shift and threats will ratchet up until, for justice, all three of these gifted brawlers must face each other. HCV was the first collaboration between Lee Tso Nam and choreographer Tommy Lee Gam-ming, who also plays the intimidating villain Lung. As he recently told Michael Worth for his forthcoming follow-up book, The Hot The Cool and The Vicious – The Kung Fu Cinema of Lee Tso Nam, it was their idea to unite the contrasting styles of “Northern Leg” kick fighting with the punch-driven “Southern Fist” approach, and to use Dorian Tan, a Tae Kwan Do world champion nicknamed “Flash Legs,” and Don Wang, a second-generation star with a Texas A&M education, to represent each of these skills. “[We] always shot together, [our film] had three distinct Kung Fu styles, so these were all planned ahead. 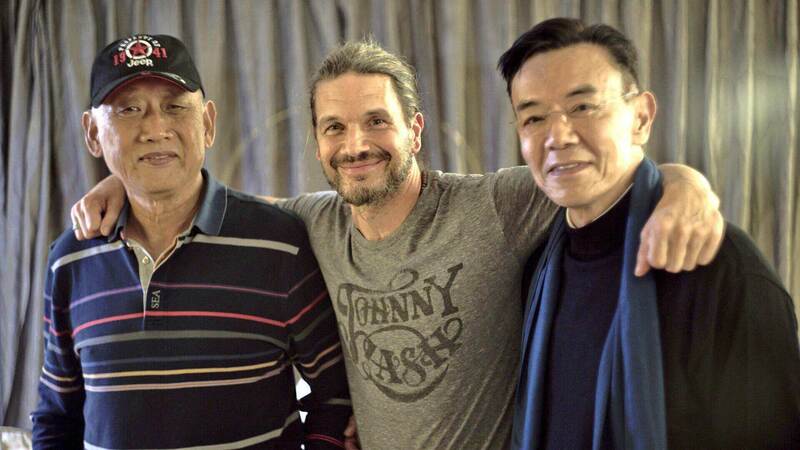 Of course Tommy did all the action rehearsals with the actors, Wang Dao also contributed ideas. I planned all the cuts. We all worked together. At the time Tommy Lee was not as experienced. Later on he learned more, so I was more confident letting him handle some shoots on his own. On that film we were working together for the first time, we were our own boss, so I was more cautious.” The film was shot in under 40 days. HCV also was the first time Don Wang appeared in a movie with his actor/producer father George, who had lived and worked many years in Italy for directors such as Elio Petri and Mario Bava; they would make five more joint appearances after this. HCV received U.S. theatrical distribution in 1978 through Ark Films, the same company responsible for turning Showdown at the Equator into Lee Lives Within, along with other creative, if narratively incongruous, renamings; thankfully, they left the already catchy export title intact for their release. 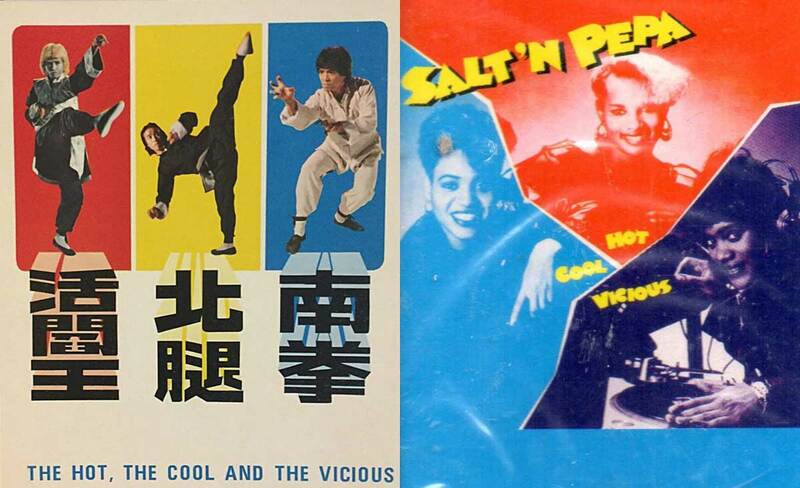 Much like other martial arts classics, it was particularly popular in the hip-hop community; though never directly acknowledged in any interviews, it’s surely a little more than just coincidence that Salt-N-Pepa’s 1986 debut album Hot, Cool, & Vicious also used a three-color delineation treatment on the cover in the same manner the posters for the film presented its cast. Tso Nam, Tommy, and Don Wang return for the evening finale, Eagle’s Claw from 1978. During revolution against the Qing dynasty, a longstanding rivalry between the fighting schools of Eagle’s Claw and Mantis Fist reach a zenith when the Mantis’ master Chau Ma-wu (Chang Yi-sang) fatally bests Eagle’s master Yang Chung (Yu Chung-chiu) in a fight. The dying master appoints Li Cheh (Don Wang) to take over the school, infuriating master student Chen Tien-chun (Chi Kuan-chun), who betrays the school and joins with Mantis. As Chau shares Mantis’ secrets with Chen, and Li rebuilds the spirits of the students of Eagle, another crucial battle is inevitable between the factions, with each camp holding surprises for the other. “I would say that of all the Kung Fu movies I’ve made, Eagle’s Claw is the finest… of all the actors I’ve worked with, I think Wang Dao is the best,” Lee told Eastern Heroes magazine in 1995. “We worked hard on [it], especially Wang Dao. He put a lot of ideas into the script and the fights.” Lee would direct Wang in a total of eight films, plus consult on two more films directed by others. While they have not done a project together since Magic Sword in 1993, they remain very close, as shown in a photo taken with Lee biographer Worth in 2018. Co-star Chi Kuan-chun frequently appeared in films directed by Chang Cheh for Shaw Brothers in the ‘70s, and later started his own studio, Champion Film Company. While stepping away from acting in the ‘90s to launch his own martial arts school, he has made return appearances, including Tsui Hark’s 2005 film Seven Swords with Donnie Yen. 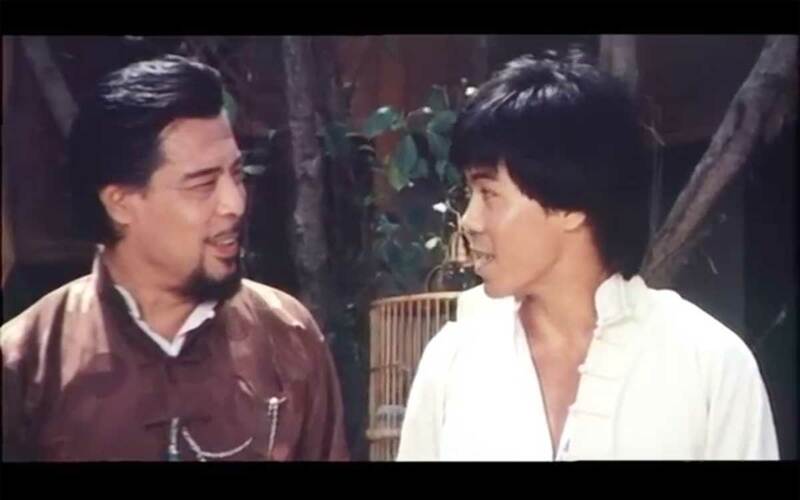 Fallen Eagle master Yu Chung-chiu was another frequent actor for Lee, he appears in the earlier Fist of Fury II, and has also been in The One-Armed Swordsmen and Master of the Flying Guillotine, both with Jimmy Wang Yu. Villainous Chang Yi-sang played the equally striking bad guy “The Baron” in Exit the Dragon Enter the Tiger which played last month’s Lee salute, and starred in a frequent New Beverly favorite, Stormy Sun aka Super Manchu: Master of Kung Fu. And putting his two hands into the action is Bryan Leung Kar-yan, the well-loved supporting player nicknamed “Beardy” (though he’s clean-shaven here), who has been active for over four decades, from 1969’s Return of the One-Armed Swordsman to 2016’s Ip Man 3, and joined other veterans Gordon Liu, Dennis Chan, Chen Kuan-tai, and Lau Siu-ming in RZA’s 2012 homage The Man with the Iron Fists. Kick against conventional Tuesday behavior, and spend the evening taking a deep dive into the action-packed artistry of director Lee Tso Nam with a lively crowd at the New Beverly. By the time the night is over, you’ll be saying if it’s Tso Nam, it’s so good!